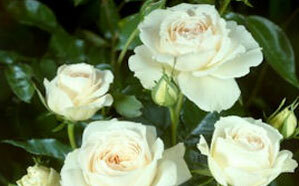 A rose was specially created to mark the centenary of the Montessori movement. “Plants are like children. In the way that Maria Montessori believed children have an innate desire to learn, so plants have an innate desire to grow”. 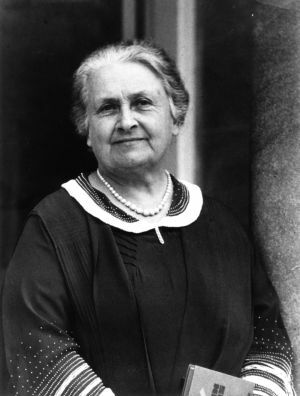 The Montessori approach to learning was developed by Dr Maria Montessori (1870-1952) at the beginning of the 20th century in Italy. Her scientific and medical background and insight into child development while she worked with and carried out observations with socially deprived children coupled with her strong belief in a child’s potential led to this educational approach. The Montessori approach is based on the uniqueness of each child and their immense capacity to absorb and learn when given the freedom and independence to learn at their own pace. It is a tried and tested approach based on an understanding of the way children learn through the freedom of choice - exploring and doing things for themselves – in a natural and stimulating way in a prepared environment with specially developed materials giving them life-long learning skills. By providing the child with the tools and opportunities to learn their confidence will grow and ability to concentrate. WHAT IS SPECIAL ABOUT A MONTESSORI CLASSROOM?